Is it someone’s house warming party? Or maybe just a completion of 10 years together? Do you know what is the best thing to gift them? Well, something that stays with them for a while, something that they connect with, something that they will cherish forever! Why not give them the choice to choose their gift? 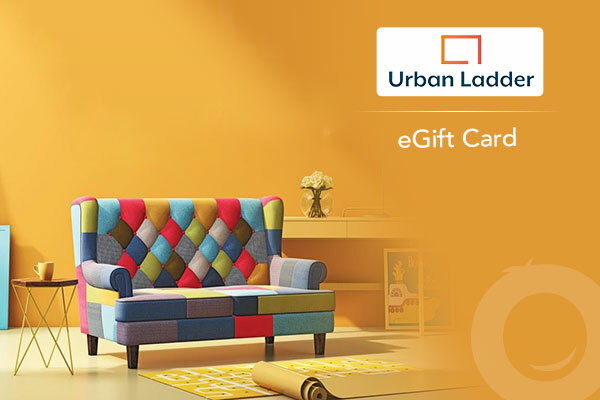 With Urban Ladder, gifting is made easy. Get your loved ones the chance to have something of their own accord for their home. The amazing Gift Cards from Urban Ladder come to your rescue. In 2012, Urban Ladder started with a vision - to make a million homes beautiful. Back then, their catalogue featured just 35 designs. Yet, when their customers shared photographs of their homes, they saw they were remarkably distinct. The same table, the same chair was used differently by different people. People want their homes to be unique. They also realized that people are a lot happier creating things than they are buying things. They are a creative, imaginative, expressive species. Urban Ladder offers you with a simple and easy to get the right gift for your people. You can accompany your gift with a personalised message and have your friends and family smiling at your thoughtfulness. The best thing about the Gift Cards by Urban Ladder is that they do not have an expiry date. You can choose the e-Gift Card and enjoy! To use your Gift Card, simply apply your Gift Card Code a PIN at the payment step during checkout. Your card can be redeemed against any purchase on www.urbanladder.com.The whole process is very simple and easy to use. Your dear and loved ones will be very happy to receive such a considerate gesture. You do not have to worry about budget gifting anymore, through GrabOn you find the best gifting solutions for anyone at the most reasonable price with amazing offers, deals and discounts on the Gift Cards offered by Urban Ladder. Happy Gifting! 1. Why should I purchase Urban Ladder Gift Cards? The Urban Ladder Gift Card is the perfect gift for your new beginnings. Be it weddings, housewarming, birthdays, anniversaries or any other special occasion, gift cards are an ideal gift. 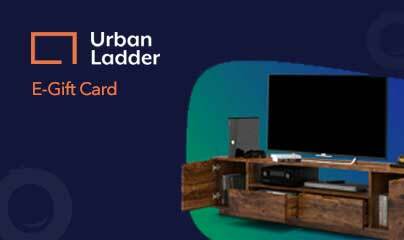 The urban ladder gift card lets you buy a lot of interesting things for your home. From home décor to furniture to home needs and to interior collections, Urban Ladder has it all. Experience the joy of gifting with Urban Ladder Gift Cards. 2. How do I purchase Urban Ladder Gift Vouchers? Select for which occasion you want to buy the gift card. Enter the denominations and select the date of delivery. Next, enter the details of the recipient, fill the fields. This gift can be for you or for someone else. You can type a customized message in the gift card. Finally, select the payment method and complete your transaction. 3. When will I receive my gift card? How long is it valid for? You'll receive your Urban Ladder Gift Card in your registered email ID within 24 hours from the time we receive your payment. For validity, please refer to our Terms and Conditions. 4. Can you tell me how to use a gift card? You can use your gift card by simply applying the gift card code and the corresponding PIN during your checkout payment process on Urban Ladder (website or app)! If the order total is less than your gift card value, then the balance will be credited back to your gift card. This can be used for the next purchase. If it exceeds, you have to pay the remaining balance through netbanking or debit/credit cards. 5. My transaction failed but my amount was deducted. Gift Card the transaction failed. What do I do? Reach out to us ASAP and we will assist you in this process. Alternatively, you can drop us a mail at giftcards@grabon.in or call us at 7997692233.